One of the reasons - probably the main reason - people buy a new car is because their old car has gotten to the point that it is costing them too much to keep. 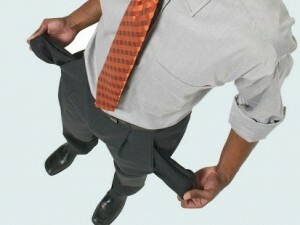 Repair bills vs. monthly car payment bills. You reach that tipping point in a vehicle's life when it makes more sense to spend money on a new car than to keep on spending money on the old car. The average monthly new car payment is currently an almost unbelievable $525, according to Experian - the credit reporting agency. 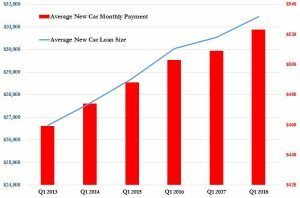 And the average new car loan is now six years (72 months) long. That's a whole lot of regular paying. Think about it. How likely is it that something big ticket will go wrong with whatever you're driving that will cost you not just $525 once but every month - for the next six years? And if the car is paid for and nothing goes wrong this month or next month, you just banked what you would have had to spend on a new car payment. On a car that is losing value in exactly the same way that the Titanic lost buoyancy after it kissed the iceberg. Which has created a problem almost as serious as the one faced by the passengers on the ill-starred liner that cold April night. Like them, you are likely to find yourself under water . . . owing more in payments yet-to-make than the car is currently worth. This problem has become so common - and so bad - that some new car loans even include what is called "gap" coverage, an extra charge added to your tab to make up for the loss of the car's value (depreciation) which someone (you) has to pay for in the event it is totaled in an accident. You won't die, but the lender is making a killing on you. The paid-for car, on the other hand, has already probably lost most of its value - which is a good thing in the same way that it would have been a good thing if Titanic's water-tight doors had gone all the way up to the boat deck. If you have to spend say $800 on brake work, at least you didn't also just lose $800 in book value. And if you live in a state or county that applies a personal property tax to motor vehicles - which tax is based on the retail value of the motor vehicle - you may save the equivalent of several $525/monthly car payments each year just by not buying a new car. 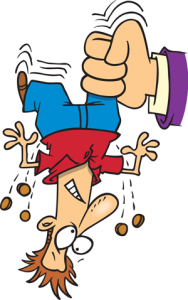 The property tax is obnoxious in principle - you've already been income-taxed at least twice (federal and state) and now the cretins are going to tax you again on the value of whatever "personal property" you managed to acquire with the remainder? But the hit you take on a new car is particularly punishing - given how much new cars cost. The property tax hit on a $35,000 car - the average price paid for a new car - can be $1,000 or more annually, for several years - until the car has lost enough value to ease up on this third-tier form of extortion. Looked at another way, the money you didn't spend on taxes can be put aside to pay for repairs. And if the repairs aren't necessary - or cost less than the money you would have had to pay in taxes - then you come out ahead. Insurance costs should be taken into account as well. These are going up - regardless of your driving record - because of the cost to fix new cars. A busted headlight assembly can cost as much as a new car payment; a deer strike can result in body damage equivalent to a year's worth of $525 monthly payments. These costs are not only reflected in the insurance premiums you pay to cover a new car, you have to pay them. Unless the car's paid-for, which is a tough trick for most people - who haven't got the scratch in the bank to cut a check for $35,000 or even $15,000. So they are obliged to carry full coverage (replacement coverage) on the car - reasonable, since otherwise the lender would be the one left holding the wet-bottomed bag. 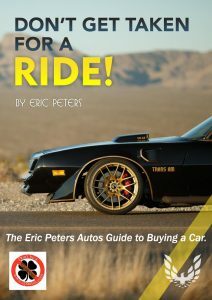 But if it's a paid-for older car, you can (wisely) skip the full coverage; which is wise because unless the car is less than five years old,if you ever do get into anything worse than a fender-bender accident, it is very likely the insurer will total the car and cut you a check for the much-depreciated value of the car. You'd have saved money by putting the money you spent on the full coverage in a mason jar. Because you'd at least still have the money. And the difference in cost to fully cover a new car vs. the cost to minimally insure a paid-for car can amount to several $525 monthly payments you didn't have to pay, too. The final argument in favor of fixing vs. buying is that buying anything new amounts to a guarantee you will either be spending much more than $525 to fix things when they fail - because of the lunatic overcomplexity of almost every new car on the market (and, arguably, almost every new car built since the early-mid 2000s) or you will be buying an even more expensive new car when the one you just bought begins to fail. 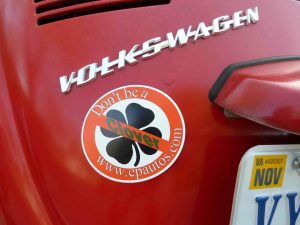 PS: EPautos magnets are free to those who send in $20 or more. My latest eBook is also available for your favorite price - free! Click here. If you find it useful, consider contributing a couple of bucks!